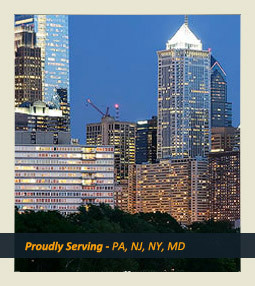 Please call one of our offices directly to discuss the facts of your case directly with your attorney. The use of this form for communication with the firm or any individual member of the firm does not establish an attorney-client relationship. Confidential or time-sensitive information should not be sent through this form. Take Route 476 South to Conshohocken Exit (Exit 17A towards PA-23/Philadelphia/Conshohocken). Take the PA-23 exit on the left towards Conshohocken, at bottom of ramp take a right (Matsonford Rd). Go straight across the bridge into Conshohocken, turn left at first light (Elm Street). Make immediate right onto Forrest Ave. Continue straight to parking garage. From Philadelphia - Take Rt 76 West to Conshohocken Exit. (I-476/PA-23, Exit 331B towards Plymouth Mtg/Conshohocken). Stay to the right follow PA-23, at bottom of ramp take a right. (Matsonford Rd). Go straight across the bridge into Conshohocken, turn left at first light (Elm Street). Make immediate right onto Forrest Ave. Continue straight to parking garage. From King of Prussia - Take Rt 76 East to Conshohocken Exit. (PA -23), at bottom of ramp stay straight to go across the bridge into Conshohocken, turn left at first light (Elm Street). Make immediate right onto Forrest Ave. Continue straight to parking garage. Take PA Turnpike to route 476 South Exit. Go through toll booth, follow Rt 476 South. Take the I-76 Exit (Exit 16 towards Philadelphia/Valley Forge). Take I-76 West Exit 16B towards Valley Forge. Take the exit towards PA-23/Conshohocken. At bottom of ramp take a right. (Matsonford Rd). Go straight across the bridge into Conshohocken, turn left at first light (Elm Street). Go straight across the bridge into Conshohocken, turn left at first light (Elm Street). Make immediate right onto Forrest Ave. Continue straight to parking garage. From New Jersey merge onto I-676 N (cross into Pennsylvania). Merge onto US-30 W via exit on the Left towards Central Philadelphia. Merge onto I-76 W. Take Rt 76 W to Conshohocken Exit. (I-476/PA-23, Exit 331B towards Plymouth Mtg/Conshohocken). Stay to the right follow PA-23, at bottom of ramp take a right. (Matsonford Rd). Go straight across the bridge into Conshohocken, turn left at first light (Elm Street). Make immediate right onto Forrest Ave. Continue straight to parking garage. Take Route 9 South into Freehold. Take the Main Street Exit on the right. Turn right at the light on to Main Street/Route 537. The office is located ½ mile down the road on the right, just past the Freehold Raceway Mall. Take Route 9 North into Freehold. Take the Main Street Exit on the right. Turn left off the exit, proceed to the traffic light, and turn left again on to Main Street/Route 537. 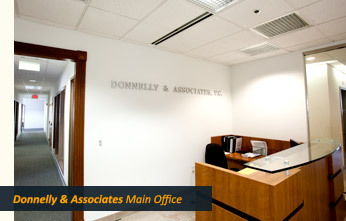 The office is located ½ mile down the road on the right, just past the Freehold Raceway Mall. Take Route 195 east to exit 16(b), Route 537 east. Proceed on to Route 537 east. Take Route 537 west for approximately 8 miles. The office is located on the left, across from the Longhorn Steakhouse.